Liverpool head to the Stadium of Light in Sunday afternoon’s big game. Sunderland are rooted to the bottom of the Premiership table with only one point from five matches. Their outspoken manager, Paolo Di Canio, was sacked last week. They look red hot favourites to face the drop this season. But, will the players react to the loss of their manager and pull out a performance against a Liverpool side who have lost their early season momentum? 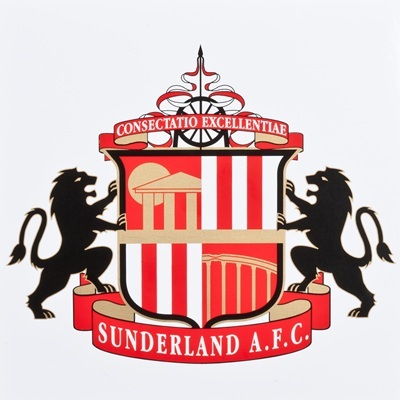 The Sunderland players had been critical of Di Canio and now have what they want so it is time for them to show what they are made of and put in a winning display. Will interim head coach, Kevin Ball, have what it takes to turn their fortunes around? The big news for Liverpool is that Luis Suarez is likely to make his first premiership appearance since the ending of his ban. 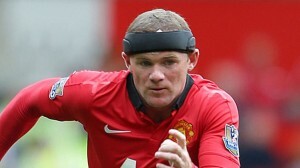 He failed to score in last Wednesday’s defeat in the Carling Cup to Manchester United, so he has a few points to prove himself. Will we see the form of last season’t Suarez, or is he yet to settle? Liverpool still have a stack of injuries and Aly Cissokho, Daniel Agger, Philippe Coutinho and Glen Johnson are all still out of action. Simon Mignolet is set to return to his former club for the first time and we can expect him to raise his game in front of his old crowd. He was the Sunderland player of the season last year and as the busiest keeper in the league so far this season, with 25 saves, his old side are certainly missing him. Jordan Henderson is another player who will face his former club. The Black Cats are without their striker, Steven Fletcher, who suffered an injury is last week’s defeat to West Brom, where Sunderland failed to have a single attempt on goal. Sunderland are the only side left in the Premiership without a league win and have lost 3 on the bounce. Liverpool themselves though, including the midweek League Cup clash, have lost two consecutive games. Fabio Borini, who joined Sunderland on loan on transfer deadline day, is ineligible to play against his parent club. We can expect Sunderland to deploy Lee Cattermole as a tussling midfielder, as he is a Kevin Ball style player, who likes to get stuck in the nitty-gritty. Kevin Ball has a lot to gain from the match, as by beating Liverpool, it could cement his position as permanent manager of the flailing club. The loss of Di Canio, could certainly have a dangerous effect on our opposition. Often, managerless clubs go on to get shock results. 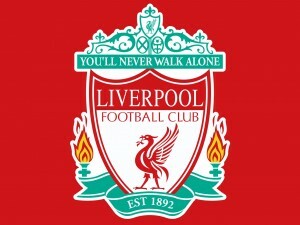 However, Liverpool’s class should show through and guide them to victory. They are aiming for top four and three points here would guide them back into the target zone, with only Arsenal having a points advantage. Manchester United, Manchester City and Tottenham all dropped points this weekend, so now is the time to capitalise and to settle for less than the three points on offer would be a blow. This is where the Liverpool downturn reverts back to good form. I expect a comfortable victory. We just have to get our strikeforce firing. The Match kicks off at 4pm and is televised live on Sky Sports 1. Steven Gerrard is the Liverpool Football Club Captain. He has to be one of the biggest players ever to have graced the game of football and possibly the greatest legend of all time at LFC. 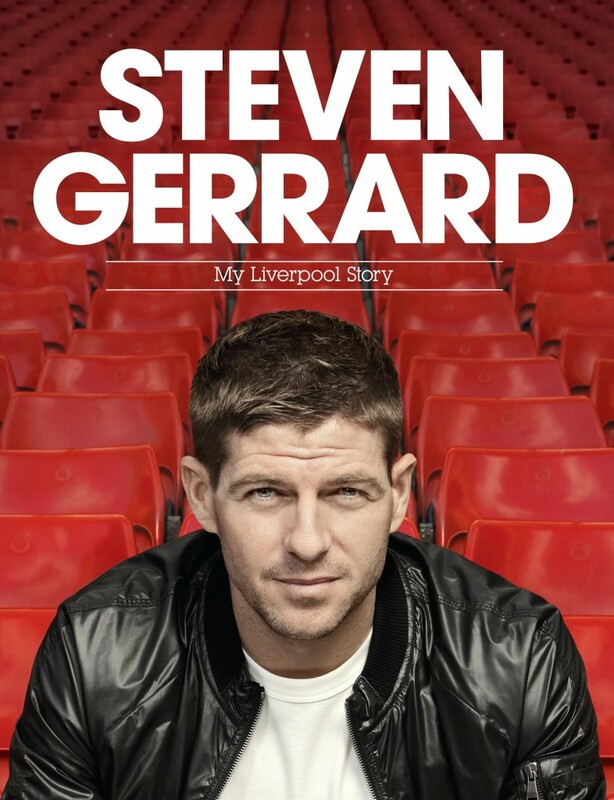 He was born, Steven George Gerrard, on 30th May 1980, in Whiston, Merseyside. He joined the Liverpool FC Academy at the age of nine. He made his first team debut in 1998, by 200 had cemented a regular place in the side and in 2003 replaced Sami Hyppia as club captain, a position he has retained ever since. In addition to his club career, he has also represented England since 2000, playing in three European Championships and 2 World Cups, gaining over 100 caps for his country and also is presently the captain of his national side and looks likely to lead them to the next World Cup in Brazil in 2014. Gerrard is renowned for his box-to-box action midfield role for Liverpool. He leads by example, heavily committing himself in defence and with his pristine passing both highly accurate and with varying range, he plays a key role in Liverpool’s attack. He has, during his career, even been advanced further forward from central midfield, into a support striker role. 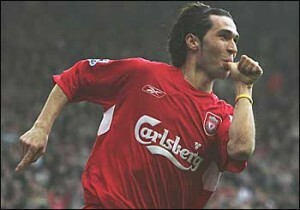 He has made over 600 appearances for Liverpool and has scored over 150 goals, thus averaging a goal every four games. His trademark free kicks make him one of the most dangerous set-piece takers out there. What separates Gerrard, though, from other world class players, is his ability to step up to the table in big games. He does not shirk responsibility when the stakes are high. My three favourite Gerrard scoring moments all came in critical times during important fixtures. In the 2005 Champions League campaign, when we needed a third goal against Olympiacos at Anfield during the final group game, in order to qualify, Gerrard produced a fantastic strike from 25 yards outside the box, which flew past the keeper, sending Sky Sports commentator, Andy Gray, famously wild. and the adoring Kop even wilder. In the European Cup final later that year, in the Ataturk Stadium, Istanbul, with Liverpool trailing 3-0 at half time against the mighty AC Milan, it was captain, Steven Gerrard, who began the great comeback, with a stunning header. 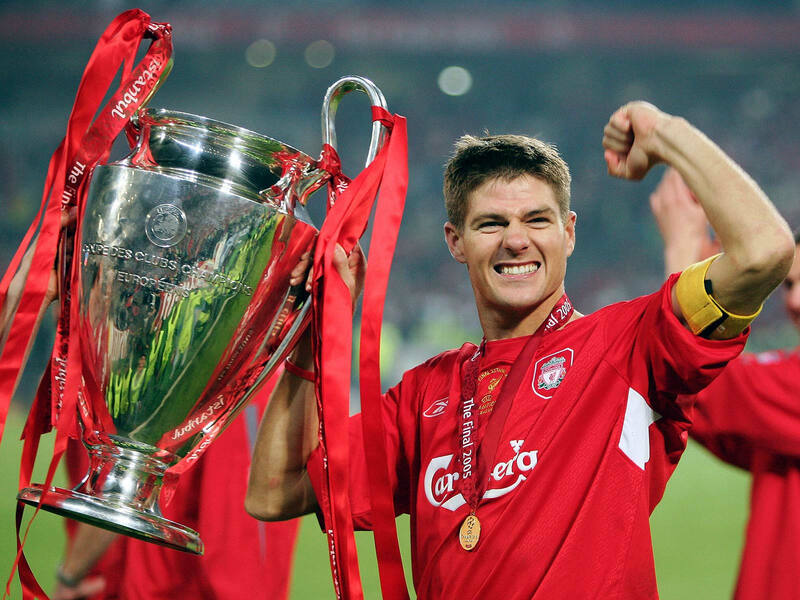 After a tenuous match Gerrard emerged as the winning captain and lifting the European Cup was, I feel, his greatest ever moment in a Liverpool shirt. The third most memorable goal was the winning strike of the 2006 FA Cup final in Cardiff against West Ham, which was later named the ‘Gerrard Final’ in honour of his spectacular volley and match-winning display. Luckily for me, I was at all three of these games and saw the goals exactly as they happened. It meant a lot, seeing my namesake hit the pinnacle of his career. He is the only player ever to have scored in the League Cup Final, FA Cup Final, UEFA Cup Final and European Cup Final. His career hit a few dark spots along the way too, the most notorious downspot in his career was when he flirted with leaving Liverpool for Chelsea, which only at the last minute was thwarted, him realising the loyalty of his supporters at Liverpool and how important the club actually was to him. He has been sent off on numerous occasions, mainly for his fiery challenges. Certainly, early on in his career, he was well-known for hard two-footed challenges. He has also been unfortunately affected by recurring injuries, in particular his groin. A big downside was him missing out on the 2002 World Cup Finals due to his groin flaring up in Liverpool’s final match of that season. 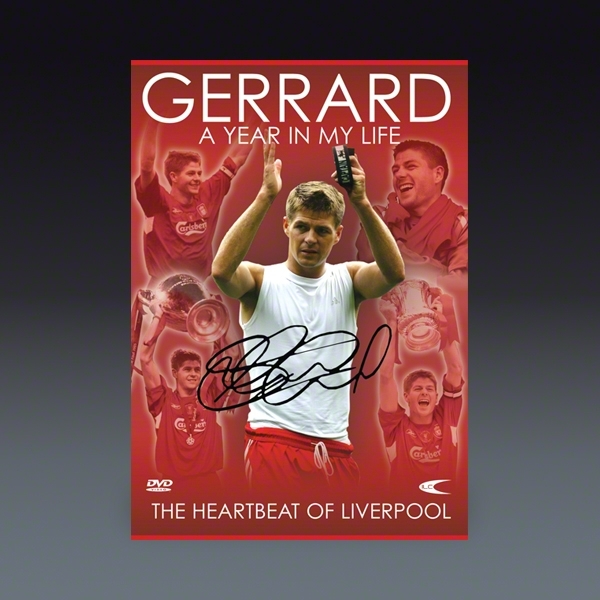 Gerrard’s devotion to Liverpool has meant he is one of the longest serving players ever at the club. He has known no other club throughout his career putting him in the bracket of the likes of Paolo Maldini, another legendary one-club player (AC Milan). His great vice captain, Jamie Carragher, supported him throughout most of his career and demonstrated himself to be a loyal, one club servant. 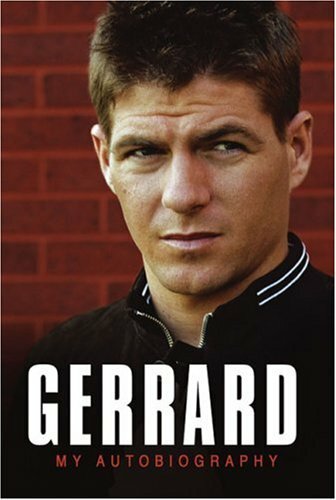 As Gerrard has moved from strength to strength and into the twilight of his career, many fans discuss the legacy of Steven Gerrard. He is a homegrown talent who has led the club to dizzy heights, the only major club medal to allude him being the Premiership Champions one. Before Gerrard’s time, Kenny Dalgleish was widely viewed as the greatest Liverpool legend. Steven Gerrard will be remembered in the same vein as Liverpool greats, such as ‘King Kenny’. and will probably ultimately be recognised as the greatest Liverpool legend of alltime. Hopefully, the last medal for his collection can be gained in the last two or three seasons of his playing career. Perhaps, Steven Gerrard will go on to emulate further Dalgleish, and go on to represent the club at managerial level? 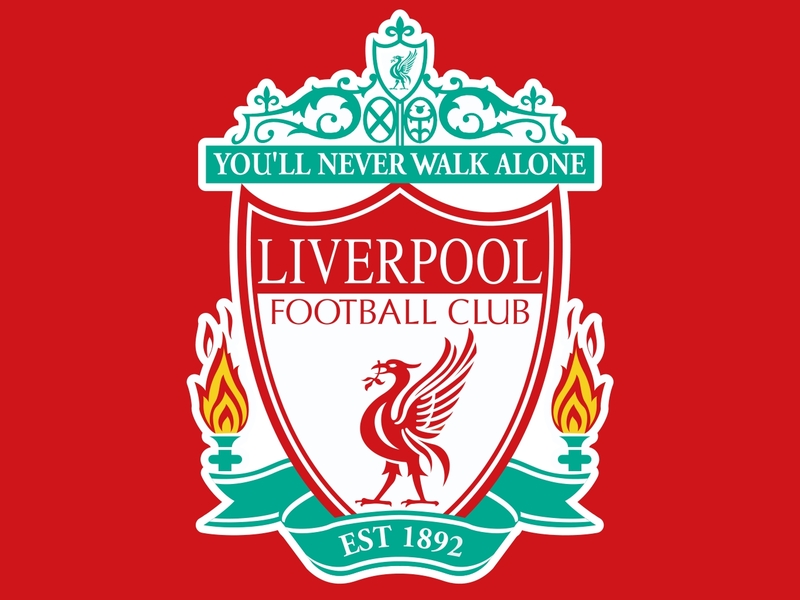 Liverpool started the match with Skrtel and Sakho in the centre, Toure right-back and Enrique on the left. The midfield remained unchanged from the Southampton game and Suarez rejoined the first team up front to partner Daniel Sturridge. Manchester United came out of the stalls strongly and put Liverpool under a lot of pressure for the first ten or fifteen minutes. Liverpool then began to assert their dominance and had United pinned back in their own box. The game seemed to undulate between phases where each side were on top, though neither side seemed able to pierce the defence well enough to get a decent strike on goal. There was a big battle going on in midfield with lots of pressing. Ryan Giggs ended up picking up a caution for a foul on Victor Moses and Lucas Leiva also joined him in the book for fouling Phil Jones. It was a shame that Liverpool couldn’t turn their first half pressure into goals. Immediately after half-time, Man United broke the deadlock. Javier Hernandez latched onto a Wayne Rooney corner, leaving his marker Jose Enrique sleeping, and slotting the ball past Simon Mignolet in the Liverpool goal. We now needed to make a comeback and immediately Liverpool started ramping up their game. Liverpool had most of the possession but couldn’t convert. Shinji Kagawa turned on the ball wonderfully in midfield and, breaking through to the edge of the box, let fly with a stunning shot, forcing Mignolet into a good fingertip save. Luis Suarez started getting closer and closer, hitting a corner from the left of the area into the side netting. Victor Moses was looking really sharp, with most of the attacks going through him. He had a wonderful diving header saved by De Gea which should have really brought us level. Suarez’s fee kick had a deflection off Phil Jones and clipped the crossbar. All he needed now was a goal. Martin Kelly came on for Liverpool, taking the place of Lucas Leiva and forcing Jordan Henderson into the centre of midfield. 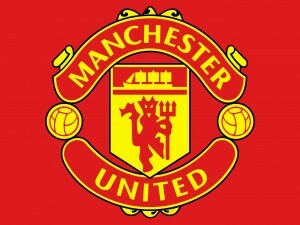 United started to make some changes from the bench with Hernandez and Kagawa making way for Michael Carrick and Adnan Januzaj. 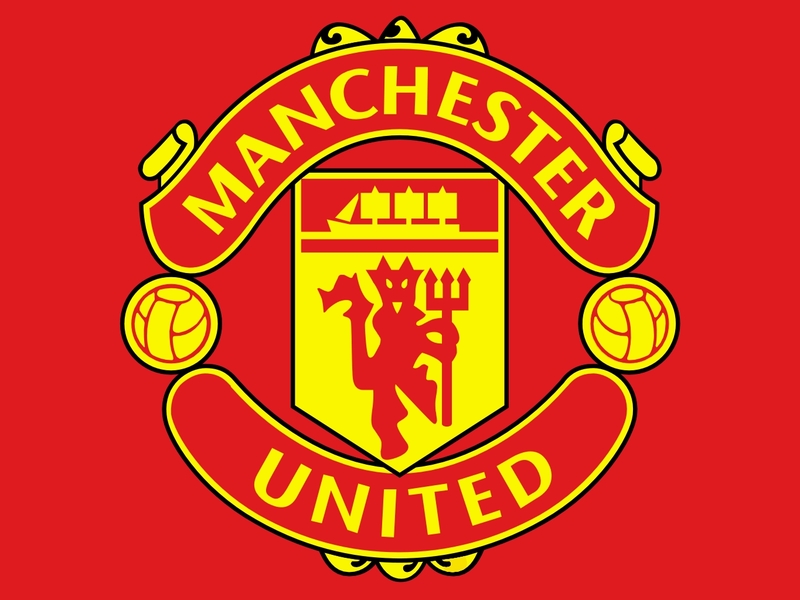 Manchester United were relying heavily on the counter-attack. Henderson managed to get into the book and gave away a nicely positioned free kick on the edge of the penalty area. Rooney stepped up and Mignolet made an excellent parry save from him. Only a minute later Rooney again made Mignolet stretch for a save. The balance of power was changing. Liverpool were playing really well and getting through to the final third easily enough. Yet, they lacked composure in attack and just struggled to put De Gea under pressure. Sturridge, in particular, seemed guilty often, of misplacing the final ball. Moving into the last ten minutes and Ryan Giggs and Jordan Henderson had a tete a tete after Giggs, already on a yellow card, kicked the ball away to waste time. Referee, Mark Clattenburg, diffused the situation with no further action. Suarez broke through into the box and delivered a ball on a plate for Kolo Toure, who just couldn’t connect properly, skimming it wide. united held on to the final whistle and claimed a much needed victory. Final score: 1-0. We had the majority of the possession but just didn’t seem to have the necessary concentration to make that possession count. It’s been three poor performances on the trot for Liverpool now. That’s one of the three available pieces of silverware for the season, firmly out of our grasp. Let’s hope we can change our fortunes against the downtrodden Sunderland on Sunday. Man Of The Match: Wayne Rooney – he set up the goal and was the most dangerous Man United player on the pitch, playing with passion. This fixture, so early on in the Carling Cup, is perhaps one we would have wanted to avoid. United are a strong side and to face them at any stage of a cup competition is daunting. However, I would argue that they are currently on the ropes and that this fourth round tie is an ideal one for us to rub their noses in their downtrodden start to the season. They have only managed one point in three games against leading sides and we have already beaten them at Anfield only a few weeks ago. David Moyes is struggling and after Di Canio’s early exit, I’d say that the new United manager must be the bookie’s favourite to be the next Premiership manager to face dismissal. The Carling Cup is traditionally used to bed in fringe and youth players, though with the gravity of today’s opponenets, I can see Brendan Rodgers choosing a strong side to face them. We aren’t in Europe this year so that makes the domestic cups all the more important. The Carling Cup is a very winnable trophy and we should do all we can to further our goals in this competition. 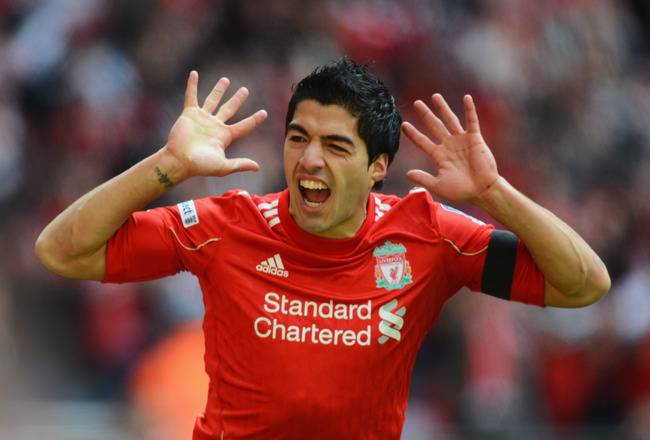 Of course, the big news is that Luis Suarez is back available for selection after his ten match ban expired. What a game for our star striker to return to! He will relish the prospect of facing old adversaries such as Patrice Evra, and should he be picked in the starting eleven, we can expect big things from King Luis. We’ve got some injuries setting us back. Glen Johnson will still be out, which is a real loss after he turned in a fantastic display in our previous game against Man United this season. Philippe Coutinho has a successful operation on his shoulder but is still likely to be missing for a month. Aly Cissokho is still out and Daniel Agger is unlikely to play after coming off injured against Southampton and admitting he shouldn’t have made himself available for selection for that game. Good news is that Enrique should be fit enough to return and also there is no reason why Martin Kelly cannot fit in defensively, thus eliminating our over-reliance on central defenders last Saturday. Will Joe Allen step in for the under-performing captain, Steven Gerrard? I hope not as I think we need our talisman to fire up the ranks in such an intimidating away stadium. Maybe because it is the Carling Cup and essentially a test ground for youth players, there will be room for either Raheem Sterling or Jordan Ibe somewhere in the attack. I think both had strong preseasons and warrant a game or two in the campaign and maybe this is an ideal fixture to let them loose. Whether the on-form Daniel Sturridge will feature from the start is a question? He might get initially rested and come on from the bench as an impact player, should we need him. On the United front, it looks as though their lead goalscorer, Robin Van Persie, will still be out injured after failing to make the Man City game on the weekend. Defenders, Rafael and Phil Jones are likely to also be sitting out with injuries, though wingers Wilfried Zaha and Nani both should be available for selection. Wayne Rooney is likely to prove a dangerous opponent, with a record of three goals against Liverpool in the last three home fixtures against them. The former Evertonian hates us Kopites with a passion and with the pressure clearly on his team for this match we can expect him to come out all guns blazing. I think that Moyes will be desperate for victory though this could lead to him making mistakes in over-exerting his players. Brendan Rodgers needs to keep his cool and bring up the team’s performance to the standard they were setting right at the start of this season. All being well, we should progress and I think that circumstances are certainly in our favour. It will be a challenge, but who, as a Liverpool fan, will not relish defeating our bitter rivals for the second time this season? The match kicks off at 7.45pm and is being televised on Sky Sports 1. The ten match ban which has dragged on since last season is finally over. Our star striker, El Pistolero, will be back available for selection this week for our critical clash with Manchester United in the fourth round of the League Cup. After the dismal results in the league for the past two games, hopefully Suarez will be very welcome back at his club. Will the fans support him as vociferously as they have done since he signed from Ajax in January 2011? I for one found the summer particularly frustrating. I love Suarez and especially the goals he scores for us. He is the club’s star player and was unlucky not to have outshined Gareth Bale in all the major player awards last season. Big players do attract interest from other top clubs and Suarez is no different. I can remember how distraught I was when the Gerrard deal to Chelsea was almost done and dusted. This summer brought back those terrible memories. OK, Steven Gerrard finally had a flash of common sense and decided to stay at his boyhood club and the supporters rallied even further behind our iconic club captain. But, will the case be the same for Luis Suarez? At first, I dismissed the early summer transfer talk as pure speculation, but then it slowly started to emerge that the rumours were rooted in truth. Suarez used the press he claimed he hated so much to try to engineer his dream move to Real Madrid. Here we have a player claiming how he wants to leave England because of the press hounding he gets and then in almost the same breath, he uses the very same press to express his discontent at Liverpool. OK, he had a point on several issues. We didn’t qualify for the Champions League yet again, not even the mediocrity of the Europa League can indeed be promised this season. Our league finish was very poor and we finished a country mile away from our targets. A trophyless season leaves both players and fans disappointed. 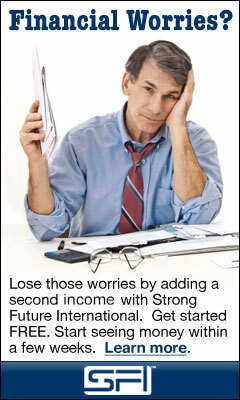 But, stick with the program, Luis. You are our talisman, our lead goalscorer. At Anfield you have the total support of the best fans in the world. Can the likes of Arsenal offer the vibrant crowd action that the Kop generates? Not even Madrid have the dedicated support of Liverpool. As the summer wore on, the player I initially supported became a burden to me. He hardly left the trending Tweets section of Twitter. Every day a new story broke. Would his agent, the brother of new Bayern Munich boss, Pep Guardiola, favour a nepotic deal to the new European Champions? Would the giants at the Bernabeu flash their cash? What about Chelsea? And then there was the Arsenal saga… The irony of a move to another English club, having stated how uncomfortable his family are with british press intrusion was not lost on the fans. Suarez, as talented as he may be, is not the most sensible of characters. Politically he is very inastute. He seems driven by emotion and off the pitch he must be a nightmare to handle, perhaps more so than when he’s fleecing defenders on it. The Latin American flair raises up and he seems to speak without thinking. 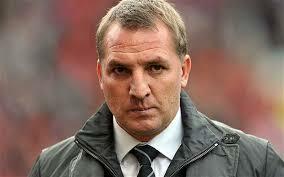 There was talk of promises from Brendan Rodgers and he obviously misunderstood the exact conditions of his contract. I didn’t like the way details were being leaked out to Arsene Wenger, telling him exactly how much he needed to bid so that the Gunner skinflints could get an absolute bargain. In the end I gave up hope in keeping Suarez, like the majority of supporters. I got fed up. We had a few decent possible targets in the sights and the transfer window was still wide open. We could take the cash and splash it out on maybe 2 or 3 quality replacements, one of which would surely come good. As the window dragged on and on, the dire situation slowly began to reverse. John Henry and Brendan Rodgers made strong statements that clarified that Luis Suarez was going nowhere. He would be a Liverpool player for the foreseeable future. Ultimately Real Madrid broke the world transfer record in signing Bale and there was no further room at the Bernabeu, for this year at least. Arsenal were laughed off as their approach totally warranted. And preseaon came and with Suarez back in training,, he manged to fit in a few preseason games and the global supporters turned out in their droves to pay homage. When the window finally closed for the summer, I breathed a sigh of relief. We could keep Liverpool Lu for at least one more season. Perhaps if we don’t qualify for the CL again this year, he will get his wishes and be shipped out. But with the amazing start we’ve had (at least for the first four games), the top four looks a very realistic target. 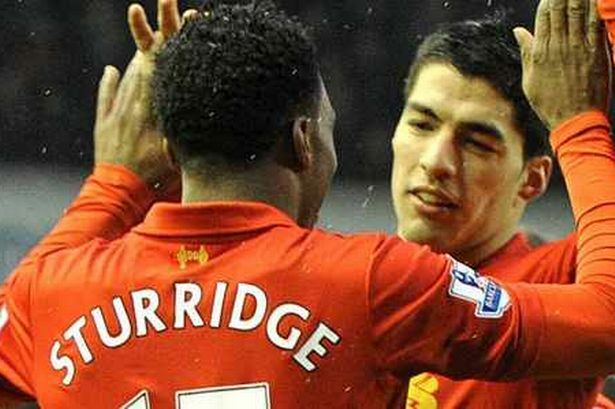 Suarez will return to a confident side and will line up next to an absolutely firing strike partner in Daniel Sturridge. Indeed healthy competition between the two could produce one of the greatest strike partnerships at Liverpool since our heydays in the Eighties. I couldn’t pick at present who the club’s top goalscorer will be this season. Sturridge has settled well and is on top form. he doesn’t carry the same pricetag as Luis, nor indeed all the emotional baggage. I think he will emerge from the stalls like a hungry wolf and devour defenders with ferocity )no pun intended). He has served two length bans now during his time as a Liverpool player. Whereas on the first occasion I was totally supportive and disagreed entirely with the technicalities of the Evra racism row, his second ban was stupid and he was at fault. As a football superstar he is an ambassador for the game as a whole and more importantly for Liverpool Football Club. With a Liverbird upon your chest and an audience of millions, players have responsibilities to live up to their status as role models. What will children watching the game feel when they see Suarez sinking his teeth into a defender. It is not a good image for Luis himself nor the club. Hopefully during his time out and what must have been a traumatic soul-searching summer for him, he has had the chance to mature a little and get over some of this rashness which envelopes him periodically. He is a fiery character and to extinguish even the tiniest flame from his soul might render him fruitless in front of goal. I don’t want him to change on the pitch. He is a clear and present danger. But his behaviour off it needs to be looked at. I think he’ll be scoring straight away and hopefully he can lead us to an early season double over our arch rivals at Old Trafford on Wednesday. It would be a dream and a challenge for him to become the Premiership’s top goalscorer. He can guide us to that top four finish he so craves and let’s hope and pray next season we get to see him lead the line at Anfield on some memorable European Cup nights. If he does live up to expectations we will see a changed side up front, with much heavier firepower. The fans I think will forgive him totally for his close season misdemeanors. Welcome back, Luis. Keep your chin up and boots laced up tight. We are on a journey this season and you have a key role to play. Liverpool started the game with four centre halves. Agger and Skrtel in the middle and Sakho and Toure as left back and right back. Enrique was declared injured but still remained on the substitute bench. The 4 centre halves made us look a bit week on the flanks, with Sakho certainly having a shaky start. We won a free kick early on, in a good position, with Gerrard really pushing Southampton keeper, Boruc, into a good save. Victor Moses looked sharp, though maybe a little bit lightweight. Iago Aspas filled in in Coutinho’s usual position. Perhaps the biggest talking point of the first half was when Sturridge was clearly fouled as he moved into the right side of the box, Anfield Road end. He was brought down and appealed to the referee but no decision was given. Liverpool had 6 shots compared witH Southampton’s 4.. Liverpool dominated possession, having 56.4% of the ball, making it a first half in their favour. Half time 0-0 and Liverpool should maybe feel aggrieved that they haven’t broken the deadline. The second half started with Southampton putting Liverpool under a lot more pressure. Defender Dejan Lovren connected to a cross in the box and despite Gerrard’s best goal-line efforts, a goal was conceded. Enrique was brought off the bench as Agger made way, perhaps an attempt to cure our weak looking defence situation. Gerrard was unlucky again from a decently positioned free kick on the edge of the Saints’ box. Southampton continued to look like they had five more players on the pitch than the Reds. Luke Shaw moved persuasively into the box and force Mignolet into a spectacular triple save, the Saints denied a two goal lead. It was hoped that Luis Alberto would help out as we chased the game and he came on for Skrtel, with Rodgers tinkering with the defence even more. Henderson seemed to move back to right back. Gerrard wasn’t really leading by example today, making several costly mistakes in possession by trying over-complicated balls that were misplaced. When Gerrard doesn’t play well, it affects the team as a whole. The match dragged on to full time as a 1-0 defeat. We never really looked like threatening and our passes were everywhere. All in all a poor performance. I think that tactically we got today’s game all wrong, maybe the international break has disrupted our pattern or the players have got complacent after their awesome start to the campaign. The lack of full backs in the starting lineup today proved costly. If Enrique was fit enough to come on as sub he should have really started. Our early season injuries have affected us. We’ve had a great start to the league but it’s come undone today. 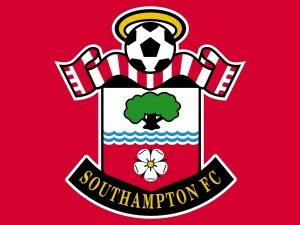 Southampton have cemented themselves now as a premiership team after their promotion a few years ago. 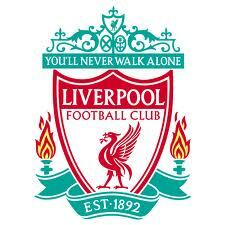 They can be seen as a force to be reckoned with and must be thrilled with their result at Anfield. It’s only the second defeat at home for us in the calendar year. We thought Anfield was once again a fortress but it fell apart at the foundations today. On the plus side. Suarez’s ban is now served and he’ll be back next game to revitalise us. Man Of The Match: Simon Mignolet – Although not perfect, his spectacular triple save made the score less embarrassing and was the highlight of a weak Liverpool perfomance. Liverpool return to Anfield for a 3pm Saturday fixture, that, on paper, looks a lot more winnable than last time out’s draw away at Swansea. However, The Saints have proved a stumbling block to the Redmen in recent years, with Southampton winning four out of the last six clashes between us, though most of those points won have been at their own ground. Last season the corresponding fixture finished in a 1-0 Liverpool victory. Southampton, though, at St Mary’s, were the last premiership side to inflict defeat upon Liverpool after they totally outplayed us there and won 3-1. Southampton are currently 11th in the league with 5 points out of a possible twelve, having won one, lost one and drawn two. To be fair it’s a relatively good start. They finished 14th in the Premiership last season so they are performing above average at present. Liverpool are, of course, perched back where they belong, at the top of the league with ten points, 3 wins and one draw. Both teams have only conceded 2 goals so a low-scoring match today looks likely as both have mean defences. Daniel Sturridge will look forward today to adding to his goals tally and if he does score it will be the fifth consecutive Premiership game in which he has done so. Daniel Agger will be back ready for selection after missing last Monday’s fixture against Swansea with a side strain. Whether Sakho, Toure or Skrtel will fill in in central defence next to him will be a tricky decision for Brendan Rodgers to make. Our key star winger, Philippe Coutinho, is out for several weeks with his shoulder injury, so it looks likely that either new boy Iago Aspas or Raheem Sterling will be called up for duties to replace him. This will be the last match left for Luis Suarez’s ban so he will be back ready for selection as of the next game. The Saints have left back Danny Fox missing due to injury. It will probably be a fairly tight game, though with Liverpool’s good start to the season and Sturridge’s blinding form, I predict a victory and thee points to extend Liverpool’s early dominance at the top of the league. 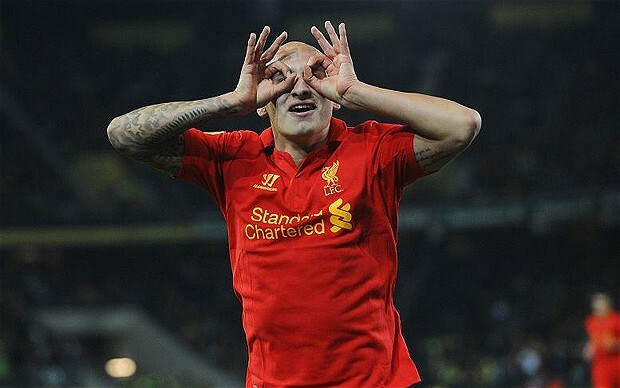 Well, it was an explosive start to the game with Shelvey proving how keen he was to show the Reds they had made a mistake in selling him during the summer transfer window. Shelvey scored in the first minute with a well-taken goal which left Liverpool newcomer, Sakho, in the shade, his premiership baptism not going particularly well. Shelvey, however, was no saviour for Swansea, as only minutes later he inadvertedly gave an easy back pass to Daniel Sturridge, whose on fire goalscoring record allowed him to suitably capitalise on his former teammate’s mistake. It was 1-1. The first half was pretty evenly balanced in terms of possession, with good passing from both teams and end-to-end action. Mignolet made a noticeable save, Skrtel made a critical last ditch goal-line tackle, and Sturridge was unlucky not to score after a perfect Victor Moses cross. Another debutant, Victor Moses was showing his strength down the wing, and he cropped up to score a beautiful goal just before half time. Liverpool went into the interval a goal to the good with the score standing at 2-1. The second half lacked some of the vigour of the first. Coutinho picked up a nasty shoulder injury and was substituted for Iago Aspas. A key player missing no doubt for a while. Shelvey continued his keenness to prove his worth to his new club and was rewarded by setting up the very dangerous Michu, who banged in Swansea’s second goal, making it 2-2. Liverpool threatened the goal far less in the second half and it was frustrating not being able to round off a fourth consecutive victory. Mignolet has a good game overall and made some decent contributions in keeping the Swans out, but he’ll be disappointed to have lost his 100% record of clean sheets. The final whistle came after a good five minutes of injury time and a draw and one point was all that Liverpool could take. Still, Swansea isn’t the easiest of places to go in the Premiership and get a result. We aren’t going to march through the season winning every game. We have to be satisfied with the away point. It places us back at the top of the league, after four games, a point separating us from Arsenal and Tottenham. A home game against Southampton on Saturday could prove a lot easier than tonight’s fixture. Gerrard The Red’s Man Of The Match: Jonjo Shelvey – although he was involved in both Liverpool goals through mistakes, he also had key roles in the Swansea City strikes, scoring one and setting Michu up for the equaliser. Proved how good he is as a player and left a sour taste in the mouths of Liverpool supporters.